Thomas Ralston now tackles the necessitarian objection that God’s foreknowledge of our actions renders the power of self-determination impossible. My comments are in bold print. Thomas Ralston now begins to examine and respond to various objections posed by “necessitarians” against the Arminian view of self-determinism. My comments are in bold print. Thomas Ralston now concludes his positive arguments in favor of self-determinism. My comments are in bold print. Ralston continues with his defense of free moral agency from Scripture. My comments are in bold print. Thomas Ralston begins his appeal to Scripture with his third evidence for self-determinism in his Elements of Divinity. My comments are in bold print. We continue with Ralston’s second argument for self-determinism from his Elements of Divinity. My comments are in bold print. 2. Our next argument for the self-determining power of the mind over the will is founded upon the history of the world in general. 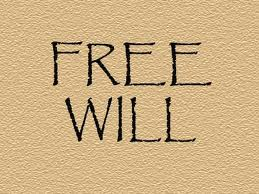 We now continue with Ralston’s defense of free will from his Elements of Divinity. My comments are in bold print. II. We proceed now to consider some of the leading arguments by which the free moral agency of man, as briefly defined above, is established. 1.We rely upon our own consciousness. Thomas Ralston was an early Methodist theologian. The following is taken from his Elements of Divinity (Wesleyan Heritage Collection CD). My comments will be in bold print. The great question in this controversy is not whether a man can will “as he pleases,” for that is the same as to ask whether he can will as he does will. But the question is, Can a man will, without being constrained to will as he does, by something extrinsic to himself acting efficiently upon him? This is the real question on which depends the freedom of the mind in willing.